I skipped the topping from the original recipe. To prepare the filling, combine the cream cheese and sugar in a medium bowl and mix well until blended and smooth. Transfer the mixture to the fridge for at least half an hour. To make the muffins, preheat the oven to 175 C. In a medium bowl, combine the flour, cinnamon, nutmeg, salt and baking soda; whisk to blend. In the bowl of an electric mixer combine the eggs, sugar, pumpkin puree and oil. Mix on medium-low speed until blended. With the mixer on low speed, add in the dry ingredients, mixing just until incorporated. To assemble the muffins, fill each muffin cup with a small amount of batter (not too much - this is very important! 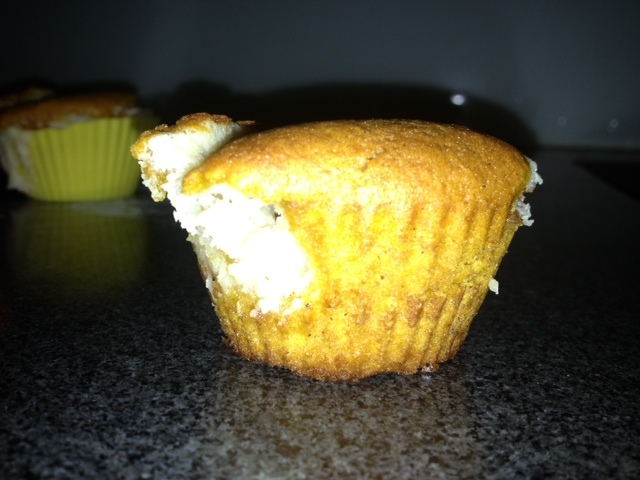 ), just enough to cover the bottom of the muffin cup (1-2 tablespoons). 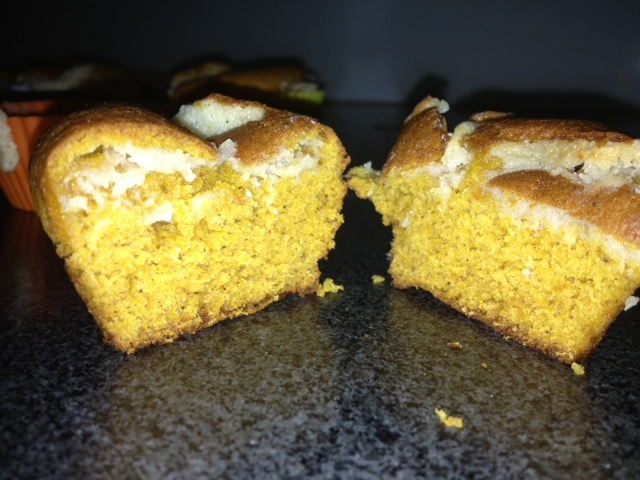 Add a layer of the cream cheese mixture into each muffin. 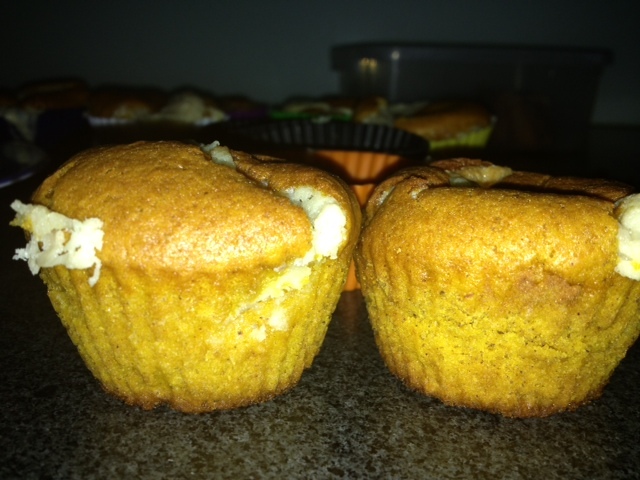 Divide the remaining batter among the muffin cups, placing on top of the cream cheese to cover completely. I loved every bite of it. Enjoy and please share your favourite pumpkin recipes ! Thank you so much Lena :) lots of inspiration, and cant wait to try ALL of them. stay tuned, we're gonna post them soonest. cookies with 'iriski' sounds amazing - that's our number one!